Heya guys! Hope you're having a good week so far. It's Friday tomorrow! Yay! I'm still incredibly ill so all I've been consuming is lemsip, lemsip, lemsip, every single day, four times a day and I absolutely hate the stuff. If you have any more decent medicine recommendations that will take me away from the taste of lemsip please leave them below. Today I thought I'd tell you about a product that even though I have had for less than a week I absolutely love and adore and I just had to review it for you straight away and that is the 'Happy Light' Luminous Serum Primer. Now I can't remember if I've ever mentioned this before but I have never ever used a primer. Ever. I just tend to use a daily moisturizer and then put my make up on top of that. What a huge mistake that was! I don't think I'll ever go back now that I have discovered this product. Last week when I was shopping I went into Boots with the intention of only spending £20 max. Yeah we already know that didn't happen. 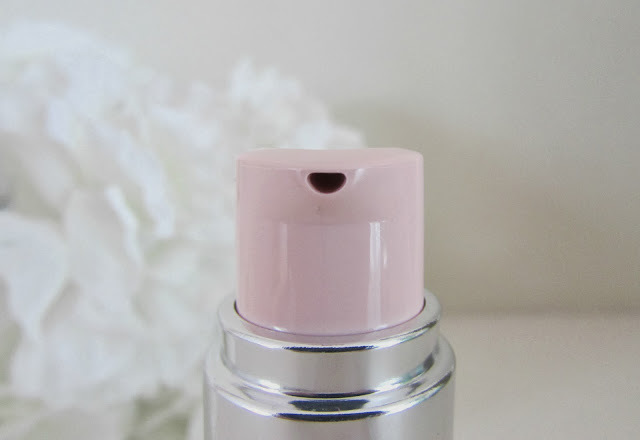 I went to the Bourjois counter and noticed this nifty little product and I was instantly intrigued. The name and packaging are just so incredibly cute. 'Happy Light' and the color pink. What more could a girl want from a beauty product? The main product itself is also a gorgeous pink color too! (I will insert a swatch tomorrow so please bear with me). So far I've mentioned the product is pink and pretty. But does that mean it's any good. My answer is YES. I absolutely love it. There are two versions of this primer one is designed to make your skin more matte and the other version which is the version I've got is designed to well make your skin more luminous and is specially formulated for normal/dry skin. One of the main things I love about this primer is that is makes your skin look very radiant and adds a glow that doesn't look shimmery or too oily. The texture of this product reminds me a lot of the Bourjois Serum foundation which we all know I adore. It blends into the skin straight away and leaves a very smooth finish. It doesn't feel heavy or like I've mentioned before oily which is an absolute bonus. 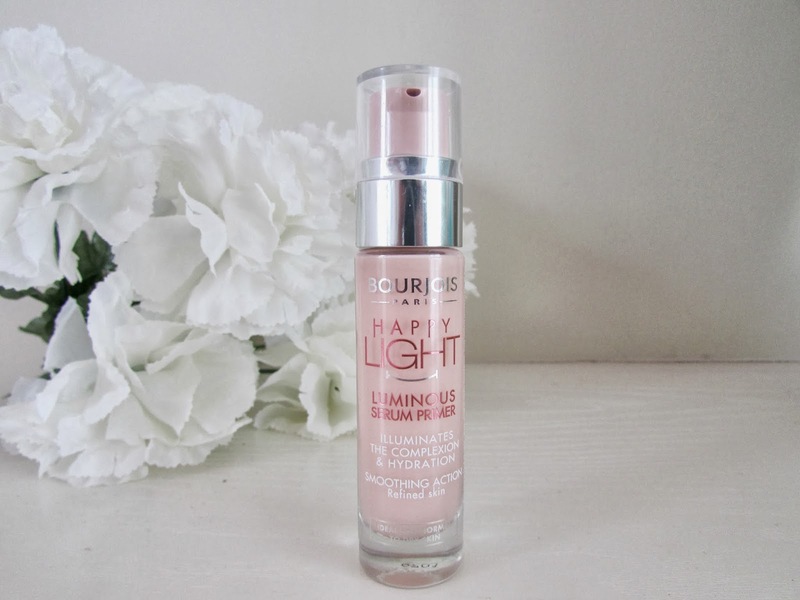 I find that this is best paired with the Happy Light Foundation which I will do a review of shortly. I find both of them work incredibly well together to created that added healthy glow to your face which I'm sure we all love to have. In conclusion I would 100% recommend this primer. Before I used this I found my foundation didn't last that long. However paired with this primer it lasts a lot longer and also glides a lot smoother and easier. If you have normal/dry skin please try out this version which is the Luminous version. If you have more of a normal to combination skin type then the Matte version might be the best for you. I absolutely love that there are options for everyone. I bought this primer at an introductory price of £6.99 at Superdrug so if you are interested I would be very quick. All the products in the 'Happy Light' collection are super cheap at the moment. So what are you waiting for. Go Go GO! 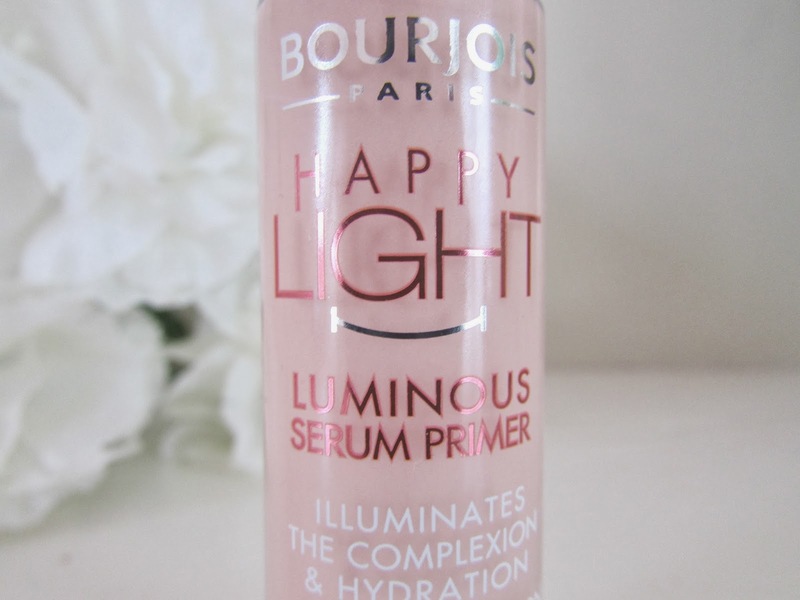 Have you tried any of the Happy Light Collection? What do you think of it so far? Great review! I really need boots to do international delivery soon, haha! Sounds absolutely incredible. Bourjois is a brand I have been wanting to try for ages, but I still have never gotten around to it. Might need to pick this up as I've been running out of my current primer. I have wanted to purchase this product for a while and just saw your blog post whilst searching bbloggers on twitter and thought i'd give it a read. What a lovely blog you have! and thanks for the review it was such a help, I also only use moisturiser but you made me think I should give this a go especially as I was going to spend much more on the infamous Benefit porefessional but maybe I will save up my pennies and purchase this instead!